R2Group Provides Digital Archiving for all your documents and images. Doc-U-Keep provides true Document Information Management capabilities that exceed traditional document storage and retrieval systems in power and flexibility, at a fraction of the cost. Doc-U-Keep solves the problem of providing access to important documents, files, and electronic images quickly and securely, using standard Web browsers on the Internet or an intranet. Doc-U-Keep is an Intelligent Information Management Solution that provides enterprise-level support for data, web content and electronic documents. Doc-U-Keep combines Microsoft's powerful SharePoint solution with R2Group's robust Internet and Data Center technology. This allows you to store any file format to include MS Word, PowerPoint, and Excel. Doc-U-Keep is built to handle any document or electronic file your company depends on. Doc-U-Keep offers an easy-to-use interface that allows building of complex multi-departmental eFiling systems that allow you fast and secure access to the information they need takes almost no time at all. It is a searchable database so no matter how many documents you store you can find it over the years. Doc-U-Keep was developed as a true web-based application. The same ease-of-use, intelligent search capabilities, multi-level security and access privileges afforded by your organization's corporate information system are designed into the product. Users can file eDocuments to a virtual filing cabinet and a folder within it. Accessing eDocuments is simple. Search by cabinet or folder, by author or document title, by file type or keyword. Because Doc-U-Keep enhances workgroup collaboration no one needs to make an important decision without the benefit of all the relevant information. Team members can view files and paper documents simultaneously with remote colleagues and customers. You can share important business documents quickly and easily with customers and business partners, Any authorized user can do this from anywhere in the world. The Doc-U-Keep eFiling method lets your company build an electronic document filing system that matches the paper based filing system currently used by your company. Doc-U-Keep can sort, categorize and manage documents, including business correspondence, purchase orders, invoices, checks, contracts, and forms. Electronic files, such as Excel spreadsheets, MS Word documents, Adobe PDF desktop publishing documents and imaged files, such as medical files, x- rays, EKG's, computer-aided design (CAD), and even voice messages can be easily filed with Doc-U-Keep. The Doc-U-Keep efc (electronic filing cabinet) is a turnkey solution that includes RAID 1 mirrored drives and a "hot-swap" backup drive, a configuration that provides the most cost effective solution for companies that need to consider disaster recovery. Implementation and administration (such as new users) is easy. Since Doc-U-Keep is browser-based, no special client software is required for users who want access to your company's documents. Any PC running Windows and Office will do. Doc-U-Keep has two levels of security and a unique privacy feature. Users must supply their User Name and Password in order to log in to the Doc-U-Keep system. Additionally, access to documents from other applications or by unauthorized users is prevented by the NT operating system. Access privileges are completely transparent to the User. Confidential information is protected since only those Cabinets assigned by the System Administrator can be opened. In fact, each user sees ONLY those Cabinets that he or she is authorized to see. Doc-U-Keep is a totally new concept in Workplace Automation that leverages existing software and hardware products and enables everyone in your company to work more effectively and with less wasted effort. Doc-U-Keep combines elements of content management, document workflow, electronic filing-storage management-virtual access, and workgroup messaging services into a simple browser-based product. Because Doc-U-Keep can work with the way companies currently organize their information, implementing it does not require a costly re-engineering project. Doc-U-Keep is currently in use in a range of industries including distribution and warehousing, advertising, government, school systems, manufacturing, metal fabrication and engineering, and insurance. It is used in a range of applications including product information, bills of lading, engineering diagrams, and medical claims. Doc-U-Keep has been implemented on corporate intranets, as an extranet with secure customer access, and on the Internet for customer self-service applications. Dedicated IP address with domain name or third-level domain (Doc-U-Keep.yourcompany.com or www.yourcompany.com). 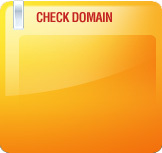 If you do not have a domain name, you can create a third-level domain (yourcompany.Doc-U-Keep.com).